Gov. 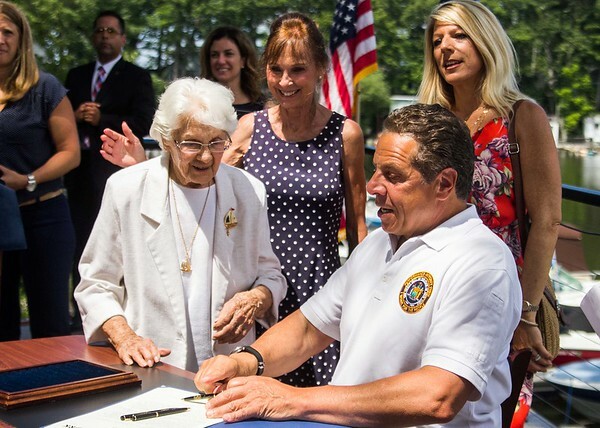 Andrew Cuomo hands a pen to Marge Moyer of Wilson. Moyer's home is surrounded by water. With her are residents Lori Moyer and Maria Aurigema.